The hotel is a 6-story building with one level of public space and 5 guestroom floors, all with standard Hyatt Place Room offerings such as Hyatt Grand Bed, state of the art media and work center with a high-definition 42 inch flat panel TV, wet bar, Cozy Corner L shaped sofa sleeper. Guest room and public areas feature a contemporary decor with stylish furnishings. Guests can enjoy complimentary hotel-wide wireless high speed internet, and a 24 hour Grab and Go food outlet. Hotel is located proximate to local businesses as well as the Westfield Galleria at Roseville Mall. World of Hyatt members can enjoy our complimentary breakfast when they book an eligible rate. Our breakfast includes premium ingredients, cage-free eggs, and regional chef-inspired dishes. Easy access off of Interstate-80 and CA-65. Pet policy: 1-6 nights a 75 non-refundable fee. 7-30 nights a 75 non-refundable fee plus an additional 100 cleaning fee. Maximum of 2 dogs per room are permitted. Weight must be 50 lbs or less max of 75lbs per rm. Fees are in USD. Service Animals exempt from fees. 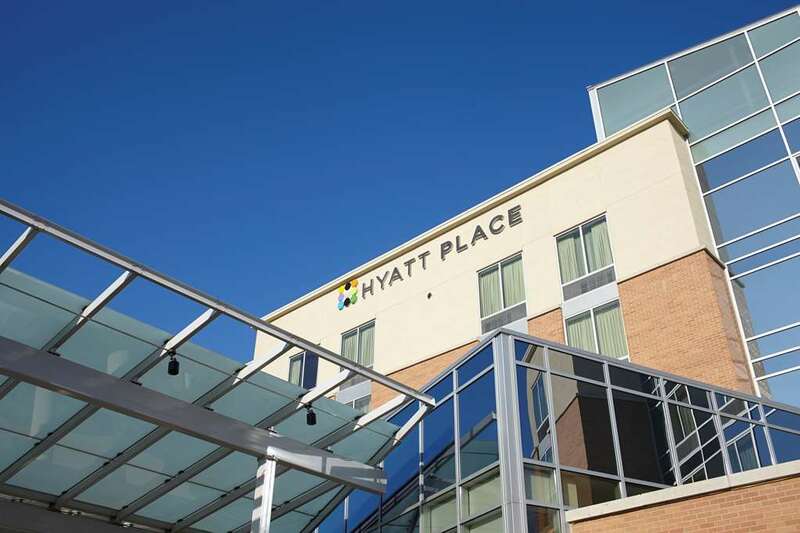 The hotel is a 6-story building with one level of public space and 5 guestroom floors, all with standard Hyatt Place Room offerings such as Hyatt Grand Bed, state of the art media and work center with a high-definition 42 inch flat panel TV, wet bar, Cozy Corner L shaped sofa sleeper. Roseville Golfland-SunsplashWithin King Bens Castle lies Northern Californias ultimate family fun center. Play over 200 video games, play 18 holes of miniature golf, play laser tag, or try your driving skills at The Fastcar Raceway. Summer season features a full water park. Thunder Valley CasinoNorthern Californias ultimate gaming experience, closer to San Francisco and Sacramento than Reno or Tahoe. Features include live poker room, 14 restaurants and full service spa.